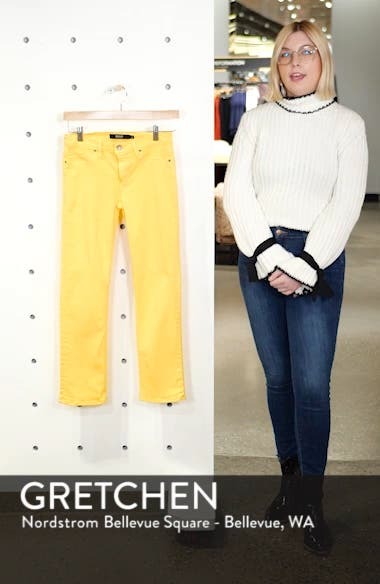 Denim comes in many colors, and these kicky, ankle-grazing jeans cut with a touch of stretch in a straight-leg silhouette make a very cute case for that. Choose a sizeTrue to size. 23=000, 24=00, 25=0, 26=2, 27=4, 28=6, 29=8, 30=10, 31=10-12, 32=12, 33=14, 34=16 High rise.